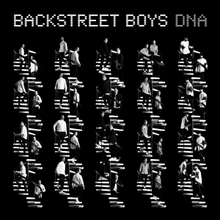 Backstreet Boys’ ninth studio album, DNA, is truly a return to form after the six year wait following their last release, In a World Like This. With many claiming them washed up, it is refreshing to see this newest release keeping up with the times, following some of the newer pop/synth trends of the last few years- while also infusing some of the classic 90’s sound they’re rooted in. One of the strongest songs on the album is single and opening track “Don’t Go Breaking My Heart”, which I have personally seen make fans out of those who previously claimed to hate the boy band. Admittedly, even with all of the positives, the album does have a few flaws. Many songs tend to blend together, sounding somewhat formulaic- though what else can you expect from a 90’s boy band, all grown up? That’s pretty much the brand. The more modern influences in the instrumental tracks seem to be there more for the sake of aging well than for the actual artistic choice of it. I’d definitely say to give this album a shot, but don’t expect anything world-changing. If you’re already into this kind of thing you’ll really enjoy the fun bubblegum pop- if not, you probably won’t give it a second look.